If ever there was an intriguing teaser to go exploring then Alex Roddie knows how to throw one in. I need a new hike. My Continental Divide Trail adventure halted abruptly on the western flanks of Mt Taylor where I got choppered out with pneumonia. I was advised not to carry on and subsequently flew back home to England where I’ve spent the last 3 weeks resting and bouncing around between Chichester Hospital and my GP’s office, not to mention a few walls. Finally, yesterday, he said I was free to go. It felt like being released from an unfair incarceration. That time did offer me some thinking, and planning. The CDT was out due to time and money. There’s around two to three months of decent weather up for grabs still and finances being a little tight, the UK started to smile at me as if it knew something that I didn’t. Which fitted quite nicely actually. I’ve spent the past few years flying to the States, or Spain, or Greece amongst others to experience some truly wonderful wilderness hiking. However, I was victim to a belief that the best hiking is in other countries and whilst the States is an absolute must, I’ve been neglecting my own door step. We do seem to slot big adventures in our own country on the back burner, or I do, because we know they’ll always be there. I’ve explored Great Britain but have always held a deep wish to go and spend a couple of months really living it. A hiking adventure through my country, getting deep into our wild places, to truly experience the best we have to offer. Well now I’m about to find out. 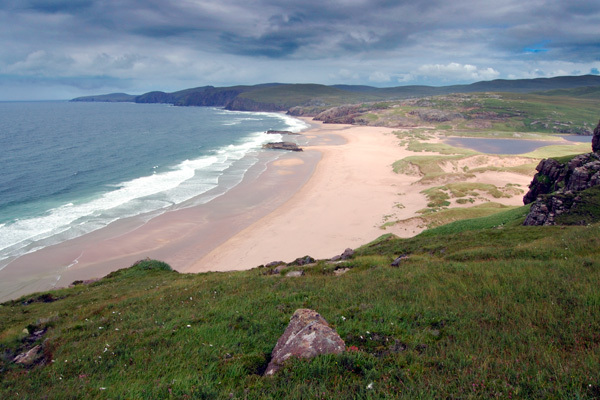 On June 24th I’ll arrive at a small village called Durness on the North West tip of Scotland. I’ll catch a ferry over the Kyle of Durness and a short ride in a mini-bus will drop me off at the most north westerly tip of Scotland, otherwise known as Cape Wrath. From there I plan to hike back to the South East coast of England. My other dream is to indulge an adventure with a complete lack of planning, at least as far as the route is concerned. Thru-hikes are great but one issue I have with them is my path is laid out before me. Point A to point B and one should not deviate. 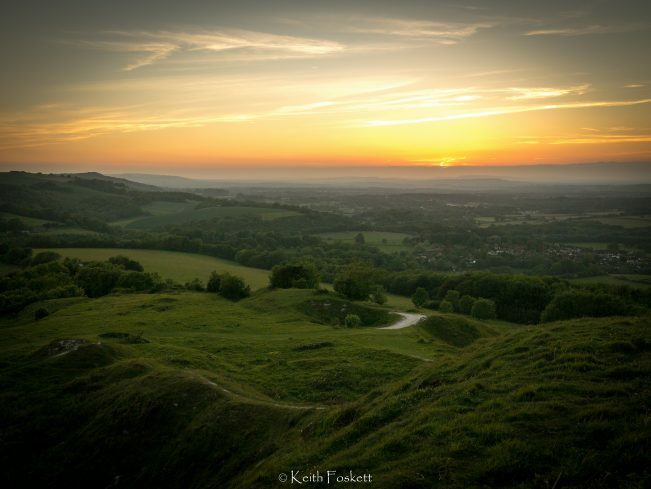 The South Downs could be on the route. It suppresses my adventurous instinct and frustrates the dromomaniac. I need a lot of randomness when I hike, I don’t want my path dictated. I need to take a right turn, despite the trail veering left. If I meet someone who talks vividly of a wild beach with a secluded bothy then I want to be free to go and see it without calculating how many miles I’ll ‘lose’ because I’m off trail. I need to explore without restrictions. Away with dictated directions, let me wander, allow me to revel in some freedom. Great Britain is a crazed riddle of foot paths and rights of way, it’s a dromomaniac’s playground. You can walk from any point to another point with a little thought. The only routes which I feel drawn to, and that I will follow at the start, are The Cape Wrath Trail and The West Highland Way. 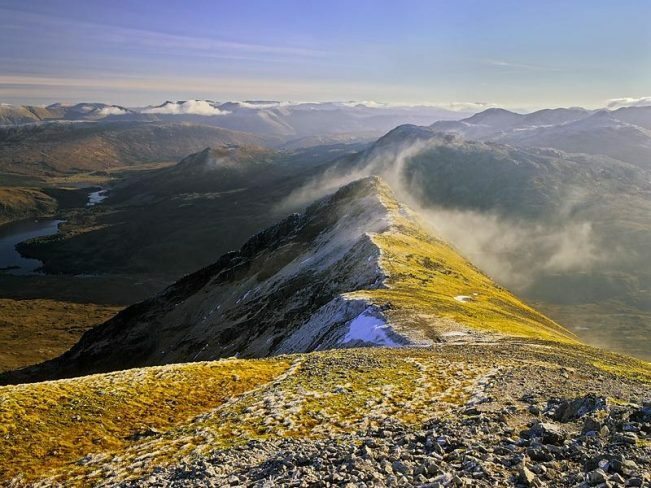 The Cape Wrath Trail heads south from Cape Wrath for around 200 miles, finishing at Fort William. From there, the loose plan is to hook up with another member of the trail wish list, The West Highland Way. Also regarded as a classic, it weaves down from Fort William through the Trossachs and finishes up just north of Glasgow. I’ll be collecting GPS and photographic data from both these national trails, and working with High Sierra Attitude and Guthook Hiking Apps so they can bring you new walking app hopefully next year. I’ll also be trying out Routebuddy’s Harveys maps and using their OS based app for the entire route. Everything else is open. 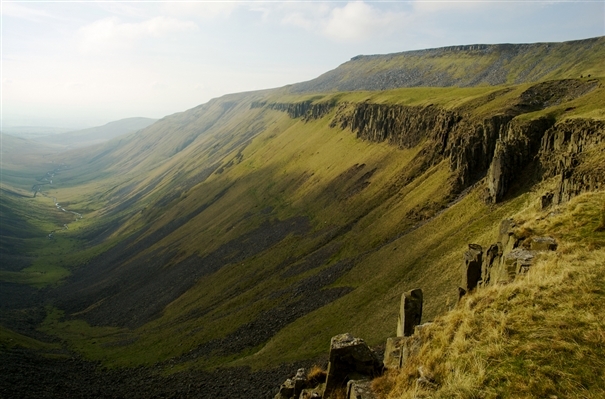 The Pennine Way seems logical, but then again so does The Peak District and The Lake District. 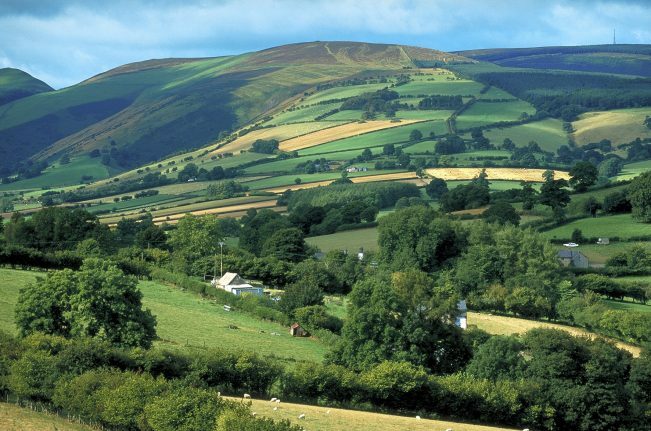 Perhaps I’ll head west a little and weave down the Offa’s Dyke Path, perhaps not. All I know is that NW2SE will finish somewhere on the South East coast, probably in Kent. 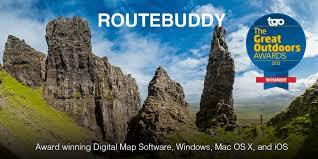 I have all of the Great Britain OS and Harvey maps stored on my phone with help from Routebuddy. I can see exactly where I am, and all of the possible routes laid out and open to some serious exploring. It’s an open book where I can skip chapters, go forward a few pages and return if I fancy it. I’ll be blogging here of course with photos and I hope video as well. I’ll also post on social media (Facebook, Twitter and Goggle+) using the hashtag #nw2se. All you outdoors folk out there, yes YOU, drop me a line. I want to see the best this country has to offer and I’d love you to show me. Bloggers get in touch, wild swimmers let me know, bikers give me a shout. Watch my route, show me what drives your passion, why it does, and where it is.